Guess what? You can now watch free movies on YouTube. 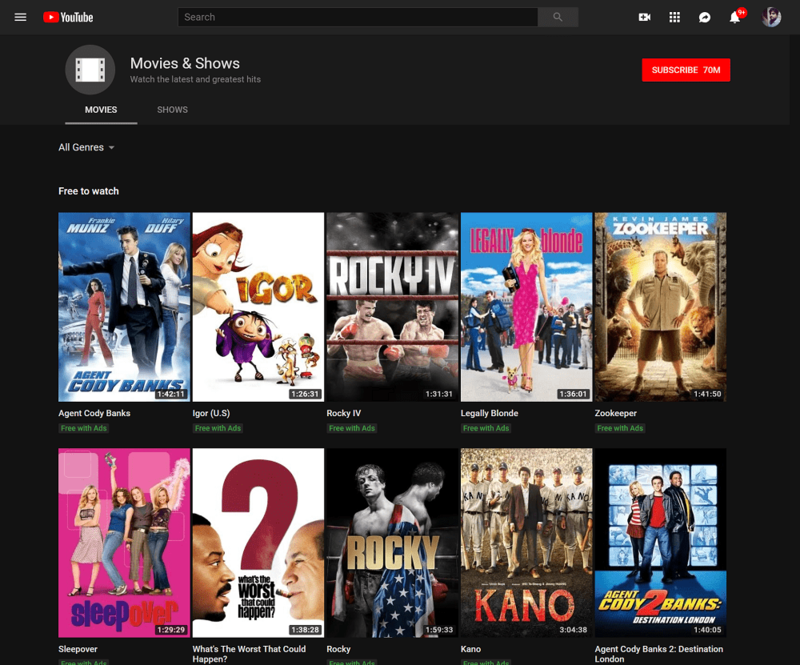 The blog post has instructions on how to find free movies on YouTube. YouTube is a popular video sharing site used by people all across the globe. On the website, you can stream music and videos you love. If you love to watch movies online, then YouTube is the right place featuring blockbusters, new releases and more. Unfortunately, watching movies on YouTube is a paid service and users are required to rent or purchase a full-length film without any interruption. Fortunately, good news coming for the users who prefer watching movies on YouTube for free and legally. YouTube has secretly started offering a great selection of free movies if you’ve no problem in watching ads. Currently, the selection of free movies on YouTube is limited, and there’s no doubt the company will increase the number of films by the time. YouTube always has lots of favorite feature-length movies, but most of them were copyright infringing uploads. From now onwards, users will be able to stream favorite movies on YouTube legally, and they don’t have to pay a single penny. 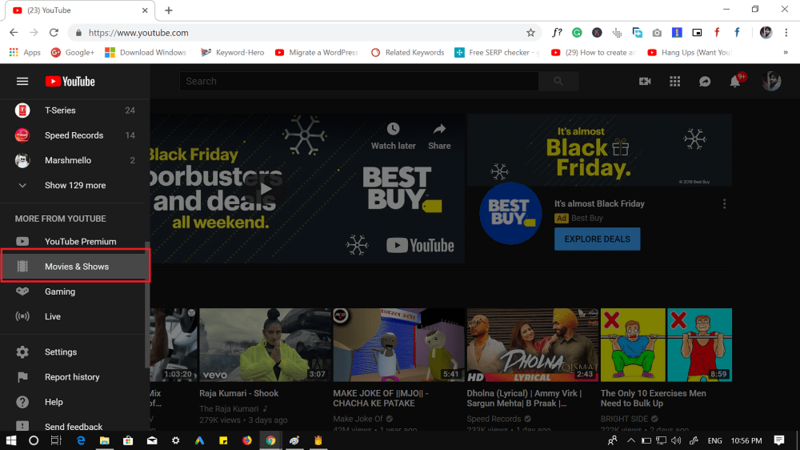 The company the first free and ad-supported movie on YouTube in October 2018 without making it public. Now the selection of free movies is public, and people can start watching their favorite blockbusters. 3. Here on Movies and Shows page, you need to scroll down to the section which reads “Free to watch“. You will find top five featured movies which users can watch for free. Next, click on ‘View all‘ to find a selection of movies which you can watch on YouTube for free. Alternatively, users can click on this link to head over to YouTube’s ‘Free to Watch‘ category. At the time of writing this blog post, YouTube added around 100 movies which users can watch without paying a single penny. 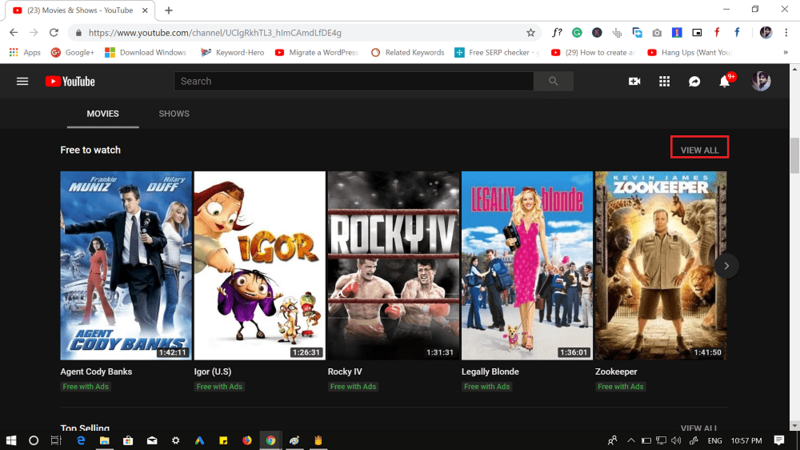 YouTube free to watch category includes Legally Blonde, Terminator, Agent Cody Banks, Zookeeper, Rocky, and even more. 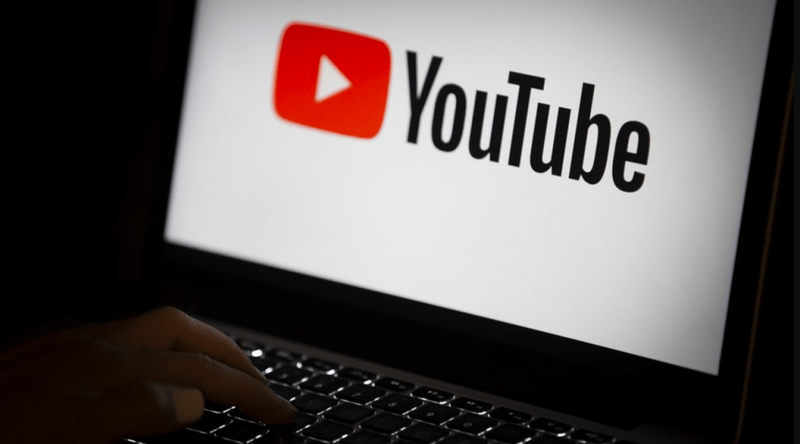 Rohit Dhawan, the YouTube’s director of product management, shared with AdAge that they introduced the new service on massive demand from the users. It is not only an excellent service for the users prefer watching free movies on YouTube, but also an excellent opportunity for advertisers. There might be users who might be wondering how to watch free movies on YouTube outside of United States, right? No problem there is a solution for that too. If you live in a country other than the United States, then you can take help of free VPN service and switch the region to the United States and follow the instructions discussed above. For me, this is very disappointing, the company introduced this service just for people in the United States. What are your thoughts about “YouTube’s Free to Watch” category? Did you like the new way of watching movies on YouTube for free? Whatever comes in your mind, feel free to share it in the comments.